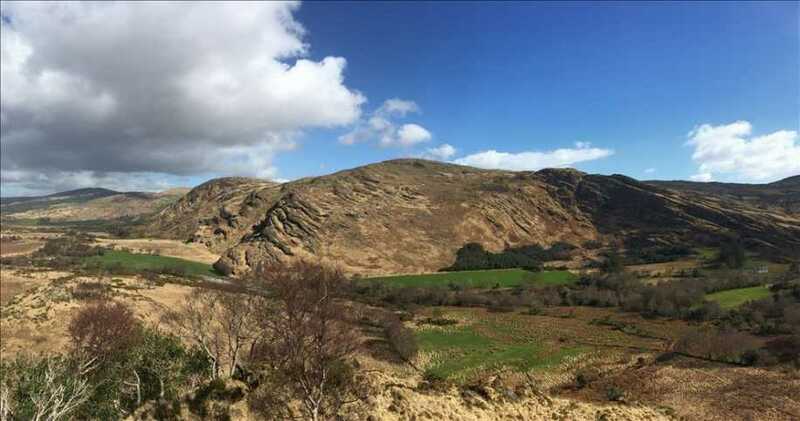 Knockantooreen is the 731st highest place in Ireland. 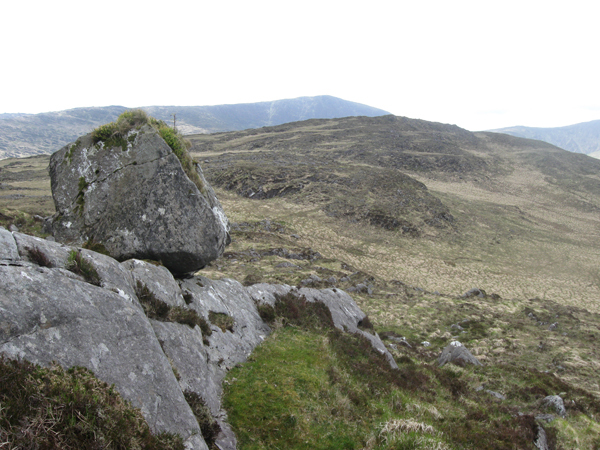 Knockantooreen was the last top in a three hour circuit that started with Carran South, and continued to Carran. From Carran it's an easy but wettish 1.7 km across an undulating landscape of bleached grass and small outcrops. The unmarked summit gives wide views, particularly to to the cliffs north of Caoinkeen, and to the diminutive but impressive Bird Hill.